This is a sound vessel with normal wear and tear for its age which runs very well, according to the seller. All photos are from 4/4/19. It will benefit from detailing and hull clean and polish to bring back the shine. Cushion and cushion covers could also be updated. Canvas enclosure and eisenglass appear to be in very good condition. 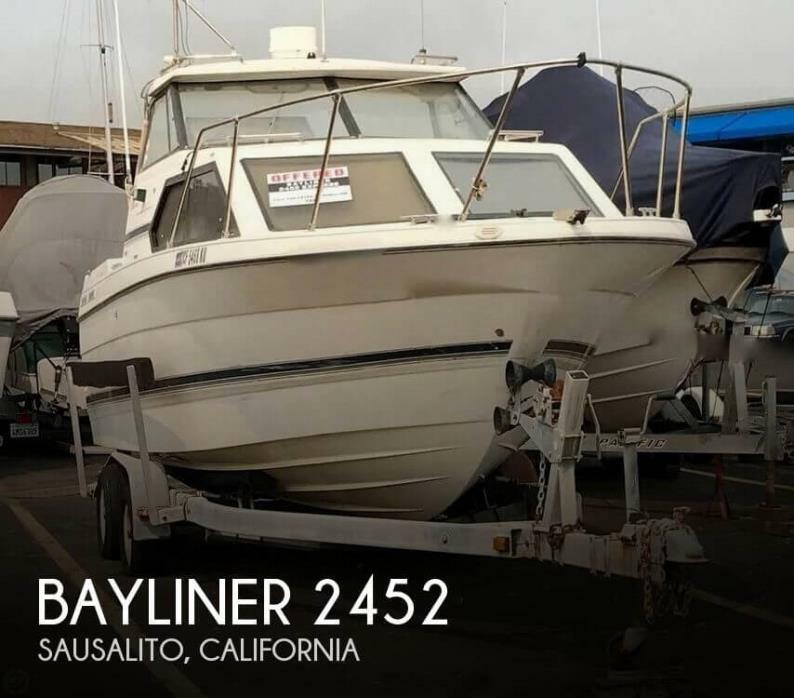 Stock #175346 It sleeps 6, full functioning galley, radio system, and a fully enclosed head and shower If you are in the market for an express cruiser, look no further than this 1990 Bayliner Avanti 3555, priced right at $26,250 (offers encouraged). 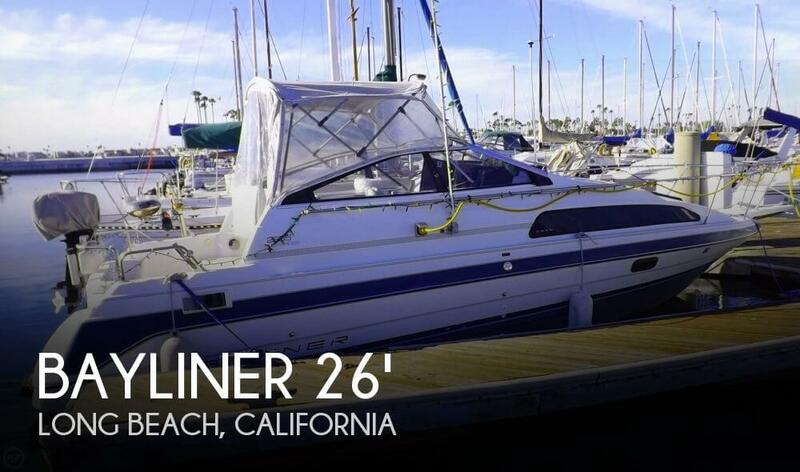 This vessel is located in Orange, California and is in decent condition. She is also equipped with twin Mercruiser engines. This boat is in good condition all-around. 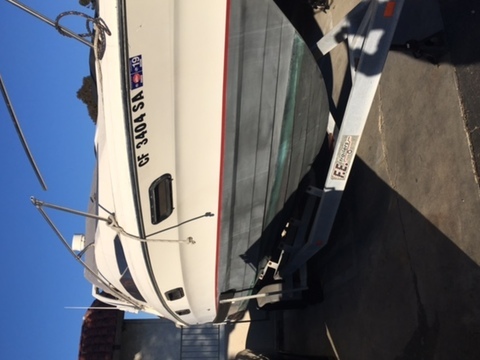 The seller states the boat was always routinely serviced and maintained over the years. Seating surfaces are in great shape and the gelcoat has weathered well. Stock #171273 Excellent condition, custom 9.9 bigfoot kicker, loads of options, liveaboard and cruise ready! 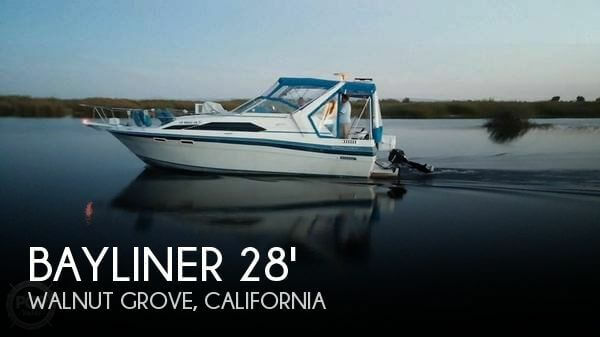 If you are in the market for an express cruiser, look no further than this 1988 Bayliner 2855 Contessa Sunbridge, priced right at $17,350 (offers encouraged). 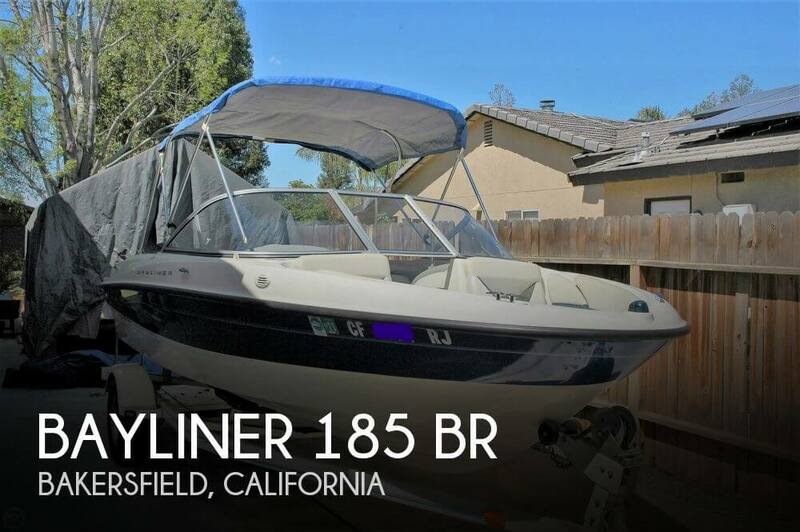 This boat is located in Walnut Grove, California and is in good condition. She is also equipped with a OMC engine that has 1,059 hours. 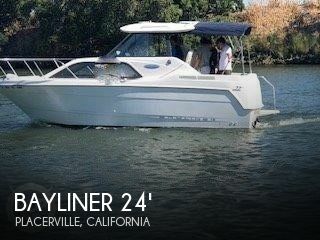 Stock #175107 New upholstery, new windows, new trim, new electronics, ( Ray Marine big screen) new batteries ( Duracell platinum, jell) If you are in the market for a walkaround, look no further than this 1990 Bayliner 23, priced right at $15,650 (offers encouraged). 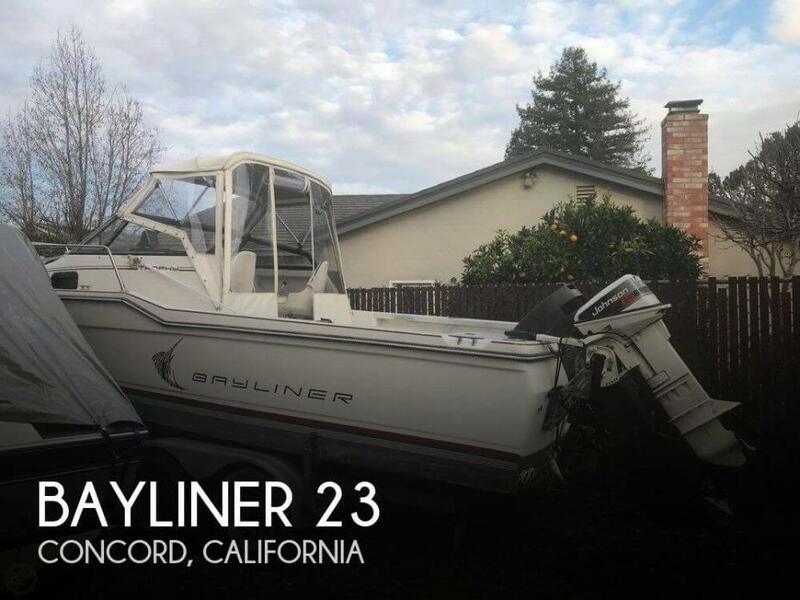 This boat is located in Concord, California. She is also equipped with a Mercury engine. *** Update August 2018*** The engine recently blew. The Seller plans on repowering the boat. We will update this listing as soon as the seller has made repairs. ***Update August 1, 2015 Major Service on everything, Including new paint on engine and outdrive. Also includes new shifter and cables. New Underwater lights were installed as well. The Eisenglass over the windshield was also replaced. Normal amount of sun damage for a vessel of this age. Only one ding in the gel coat above the water line. (starboard corner of swim step). Very well taken care of Mechanically. A good cleaning and you will have a spectacular boat that will bring you good times for a very reasonable price. 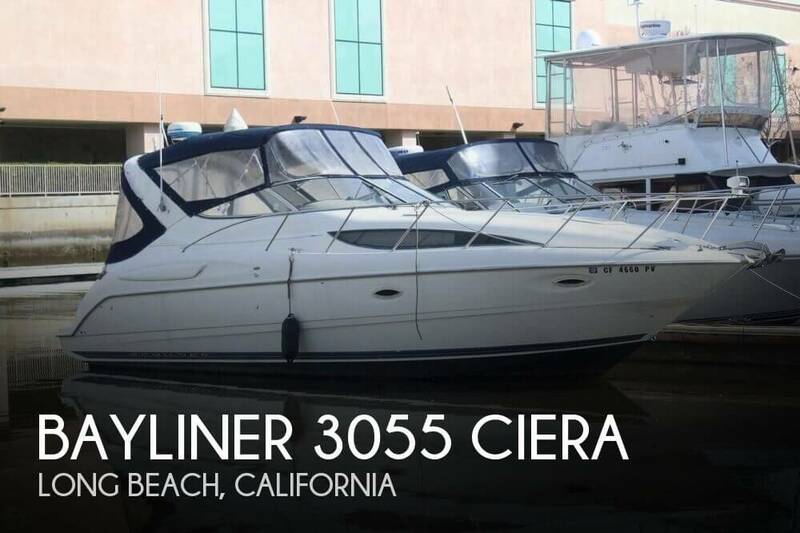 Stock #038928 Fantastic Overnighter or Weekender If you are in the market for an express cruiser, look no further than this 1991 Bayliner 2655 Sunbridge, just reduced to $15,000 (offers encouraged). 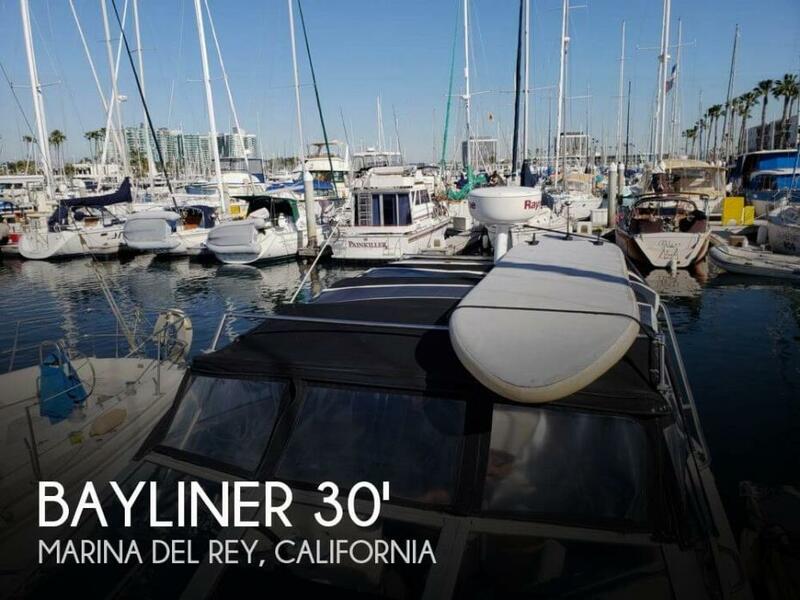 This boat is located in Long Beach, California and is in good condition. She is also equipped with a Mercruiser engine that has 653 hours. Per the Seller: Everything works on the boat and the hull appears to be in good condition for a 20-year-old boat. There were some scratches and scuffs, but no visible blistering was observed. The galley is remarkably clean and in good shape. Water intrusion has created some mold/mildew in the interior. It was last in the water in June 2018 according to the seller. Stock #170315 Excellent cruising boat that's versatile for fishing or spending time with family cruising! Lots of storage! Way ahead of its day when it was built! 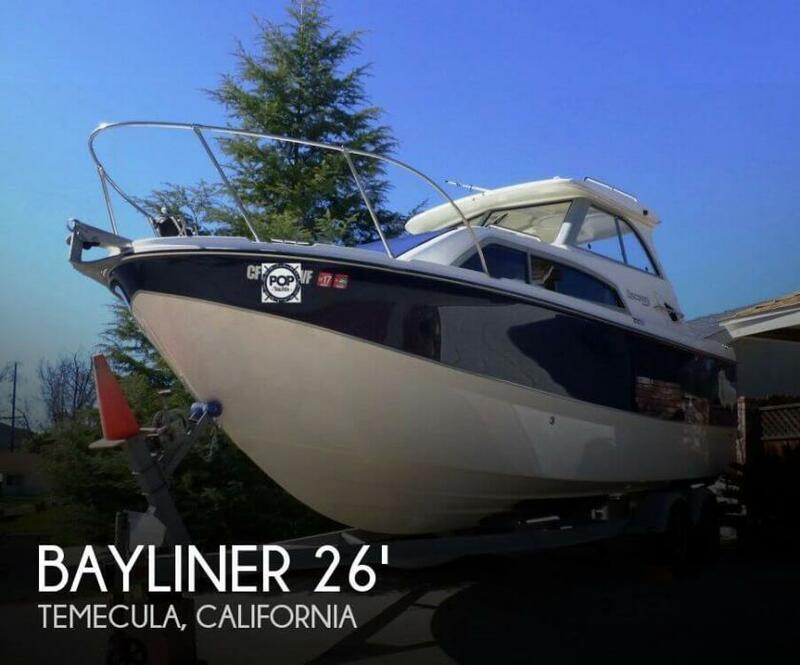 If you are in the market for an express cruiser, look no further than this 1998 Bayliner 2452, priced right at $15,250 (offers encouraged). 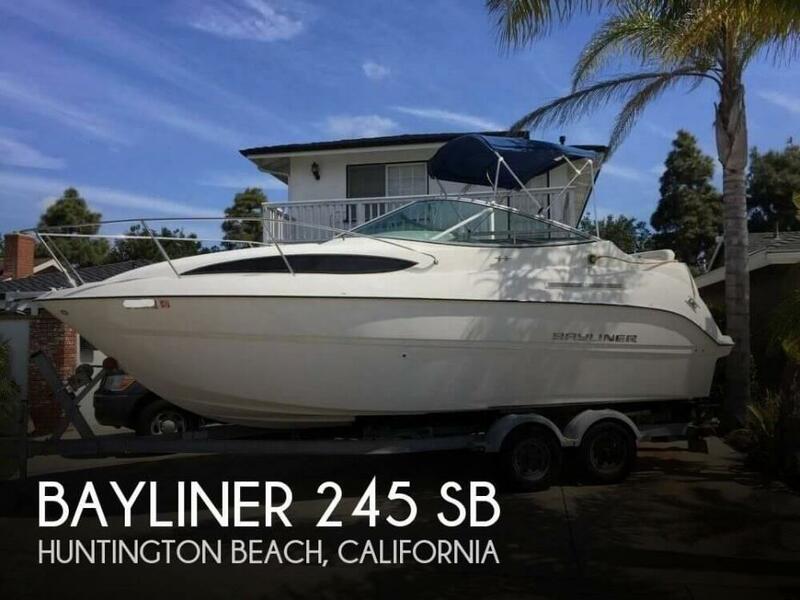 This boat is located in Sausalito, California and is in decent condition. She is also equipped with a Mercruiser engine that has only 200 hours. The hull appears to be in good condition. The cockpit enclosure is in good condition. The exterior wood needs varnishing. The interior is generally in good condition aside from bare spots in dinette cushions. To date, POP Yachts was unable to determine the condition of the engines or electronics. This will be updated as soon as possible. Stock #171901 Liveaboard, great for entertaining friends and family, seller is motivated! 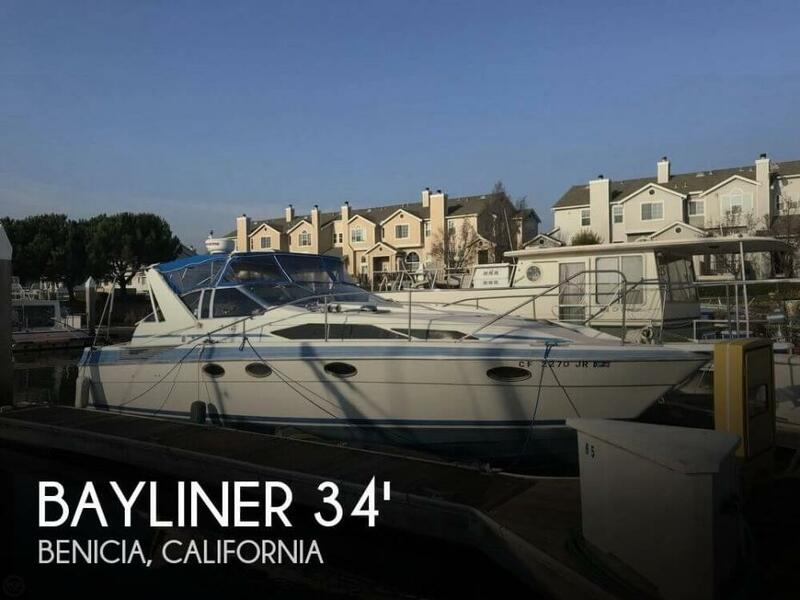 If you are in the market for an express cruiser, look no further than this 1979 Bayliner Conquest 3150, priced right at $17,750 (offers encouraged). 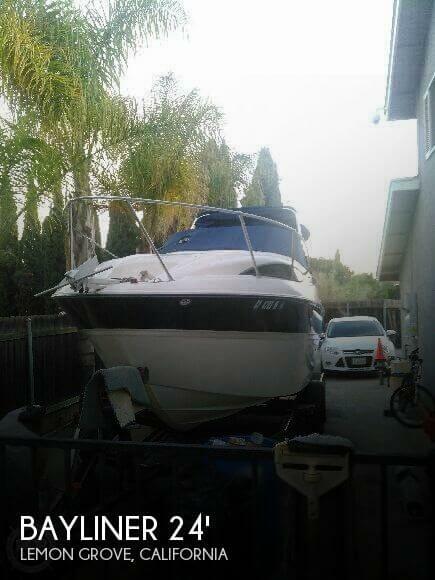 This boat is located in Oakland, California and is in good condition. She is also equipped with twin Volvo Penta engines that have 1,385 hours. Reason for selling is joining the military and relocating. This boat is in good condition all-around. The seller states the boat was always routinely serviced and maintained over the years. Seating surfaces are in great shape and the gelcoat has weathered well. The seller states that the engines fire up easily and run smooth. Stock #168440 Raymarine radar and E7D navigation system with CP100 Sonar and EMU1 engine monitoring unit tied together with a seatalk network! MUCH MORE INCLUDED!!! 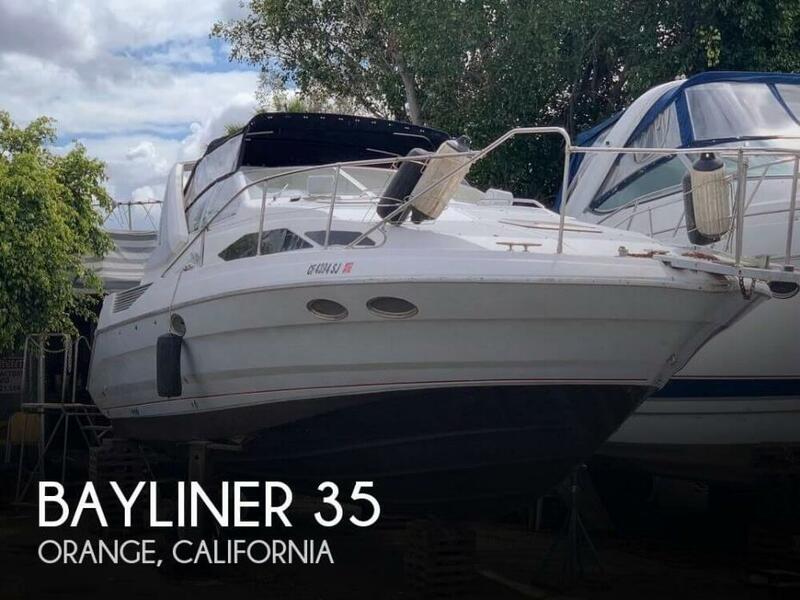 If you are in the market for an express cruiser, look no further than this 1988 Bayliner 3450 Avanti Sunbridge, priced right at $27,800 (offers encouraged). 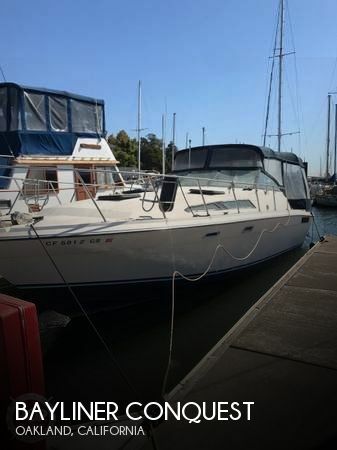 This vessel is located in Benicia, California and is in good condition. She is also equipped with twin US Marine engines that have 976 hours.